Rev. Joe Purl is our lead pastor. He was born and raised in the St. Louis area, married Kim in 1994 and is madly in love with her. They have four children. Before coming to Wright City in January of 2011, Joe and Kim pastored previously in Kansas and Florida. One of his favorite foods is carrot cake with cream cheese icing that his mother in law m﻿akes, bu﻿t he stays far away from any type of Indian food as well as goat cheese. For some unearthly reason he loves Elvis. It could be because his Aunt June is an Elvis Impersonator! One of his passions is playing bass guitar… may God have mercy on his soul! Odd fact about Pastor Joe: his dad was one of the construction workers who helped build the Arch. 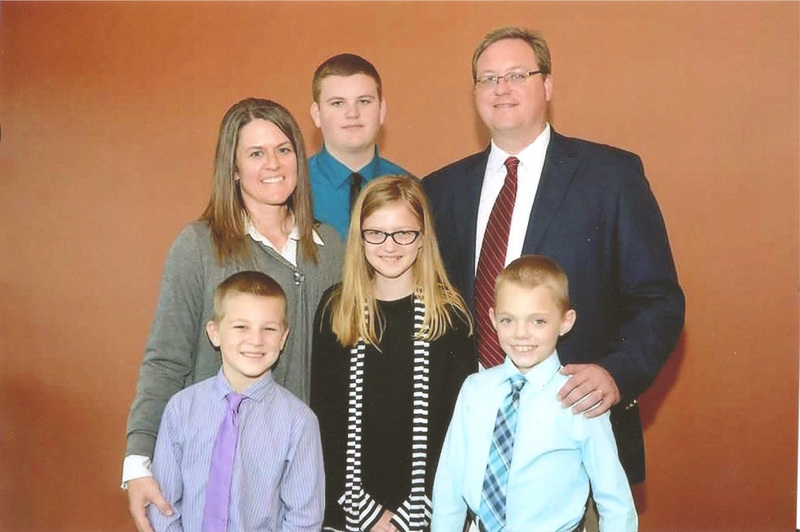 Ken and Cheri Hodge have been at Wright City Church of the Nazarene since November 2012. They were both raised in St. Louis County, MO and met in high school. They were married in April of 1989 and have raised three awesome children. ​Ken oversees the Community Garden and enjoys many outdoor activities. Some of his favorite things to do are hiking, hunting, fishing and serving God through missions volunteering. Oh! And he really likes Bluegrass music. Pastor Cheri was called to ministry in 2006 and her road to ordination has brought her to Wright City. She is now one of our youth leaders and enjoys meeting new people and hearing their life stories. Some things she enjoys are traveling and camping, but does not enjoy the long hiking like Ken does. She would prefer to wait by a campfire with a good cup of coffee listening to some good Gospel music. ​Ken and Cheri work together volunteering for mission trips and community missions outreach. Between the two of them they have traveled extensively nationally and internationally and have met some great people and formed many lasting relationships. Cole Branstetter has served on staff at Wright City Church of the Nazarene as Church Planting Pastor since February 2013. He graduated from MidAmerica Nazarene University in 2010 majoring in ministry with a focus in youth and family. He then married his wife, Rachelle, moved to Bowling Green, MO, and served as associate pastor to youth and their families. In 2012, Cole began to feel the call to plant a new church in Wentzville, MO called Project II. It was at that time that he began attending Wright City. He currently meets with a small group in Wentzville, where he lives with his wife and two sons, Beau and Malachi. Cole loves spending time with friends and family, has a passion for St. Louis sports, and enjoys music and hunting.